Among your business expenses, there may be some that repeat each month for the same amount, such as a vehicle lease payment or office rent. When there are the same expenses each month, it’s nice to save time by having those automatically record in your expense records. Now, Due offers an expense feature that includes recurring expenses. 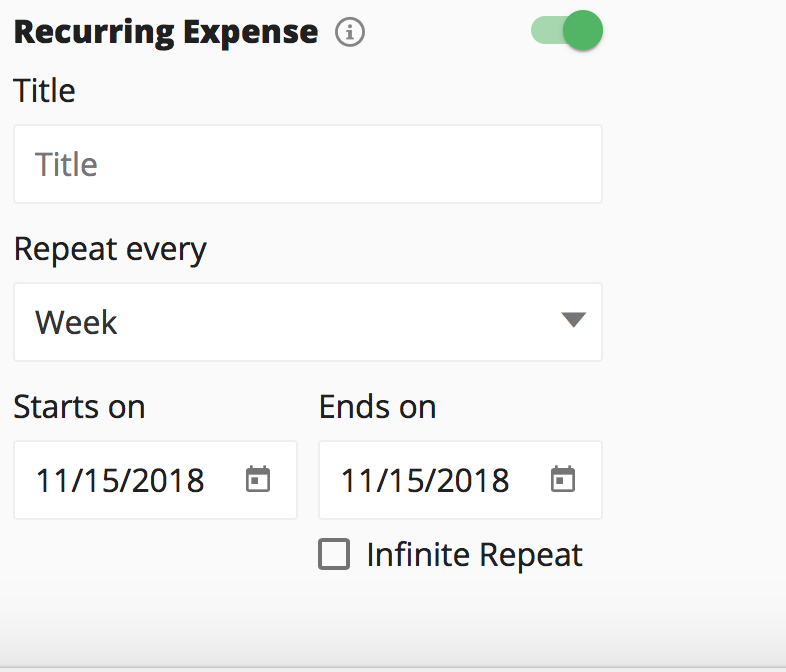 This Due expense tutorial is designed to show you how to create and enter recurring expenses so you can reduce the amount of time you spend on recording these costs. Once you select “Expenses,” you’ll see a screen that will show you all your expenses. There are Expense and Recurring options to choose from. Select “Recurring.” This screen will also be where you will view the recurring expenses you created. Now, it’s time to create your recurring expense. On the top right side of your screen, there is a green button that says, “Add Expense.” There is also a similar button in the center of your screen. Both take you to the next screen where you can add your first expense. You’ll follow the same steps you took to create any other expense. Other ways you can further detail this expense is to select a currency type, such as U.S. dollars. Other options include marking it as billable so you can invoice a client later on or marking it as costs of goods sold, which would then associate the expense with a client cost. When you move your cursor across the button and to the right, which is next to where it says “Recurring Expense,” it will turn green. When you are done entering all that information, click “Save” and it will close. From there, you can continue to create more recurring expenses until you are done. The post How to Create New Recurring Expenses appeared first on Due.